The American Lock No. 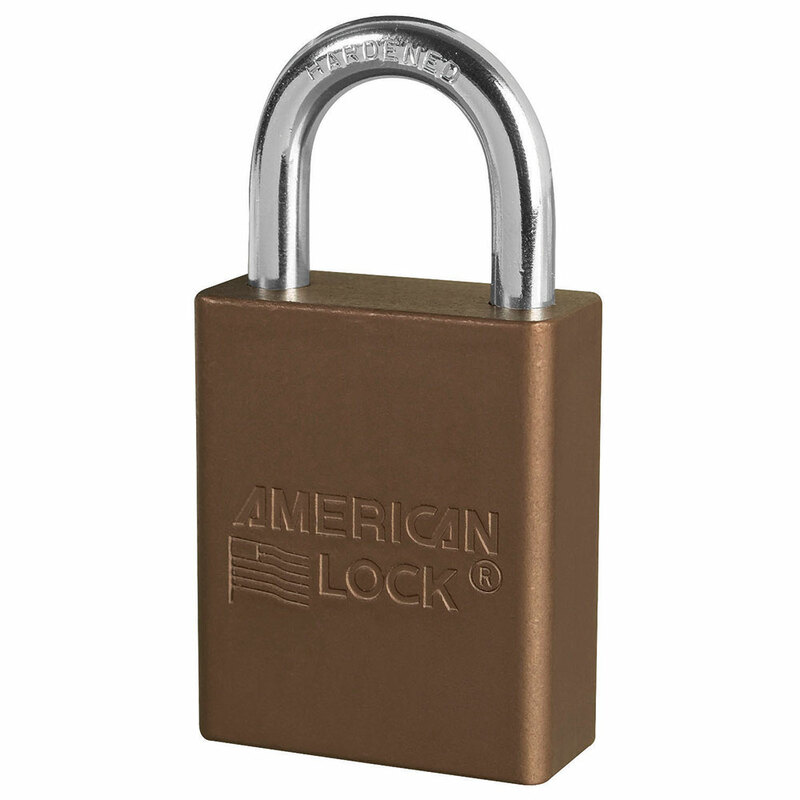 A1105KABRN Aluminum Padlock, Keyed Alike – multiple locks open with the same key – features a 1-1/2in (38mm) wide brown anodized aluminum body with a 1in (25mm) tall, 1/4in (6mm) diameter chrome plated, boron alloy shackle for superior cut resistance. The anodized finish makes padlock suitable for lockout in food processing facilities and corrosion resistant finish ideal for tough environments.